Read my InVision blog post on the role of ambiguity in design consulting: What are the different types of ambiguity? What’s the right amount of ambiguity? And how might you reassess your project to deal with it? ‘The Increditables’ take first place at the Refugee Hack Summit! I had the pleasure of being a part of Moment Design’s winning team at Hack Summit Labs’ Refuge Hack Summit. This 12-hour code-free hackathon, attended by design firms such as Pivotal, Spotify and Fuel, focused on creating rapid, feasible strategy proposals and prototypes to address crises facing new refugees. Our team, ‘The Increditables’ focused on how to improve new refugees’ financial agency. Read more about our project and process. 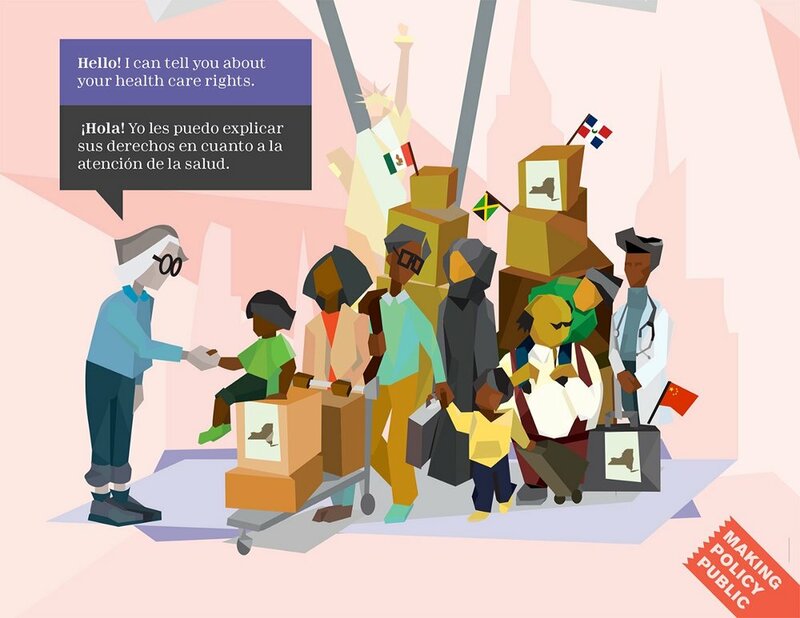 After my year and a half long design collaboration with CUP and NYIC on Welcome to Healthcare, I walked away with some valuable lessons on how to keep real people in mind when designing, not just other designers.